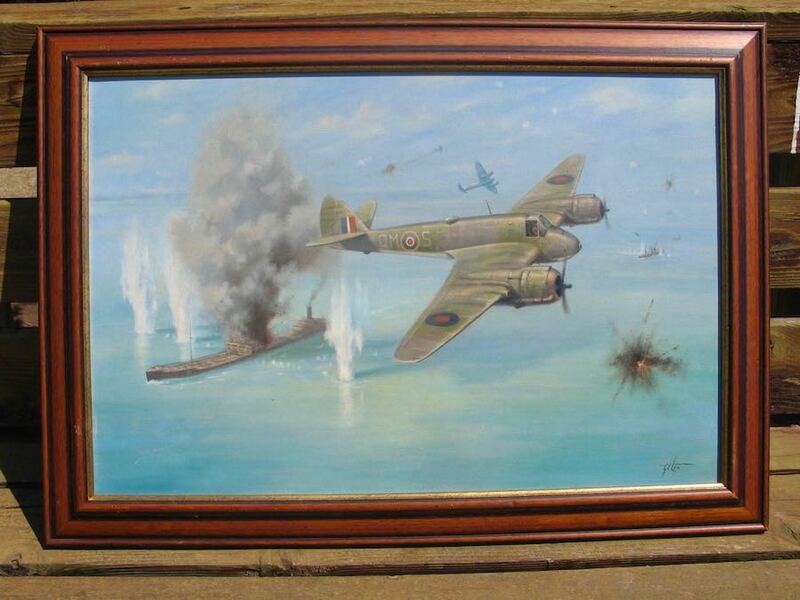 Superb, large original oil painting on canvas by well listed UK aviation artist Geoff Lea. 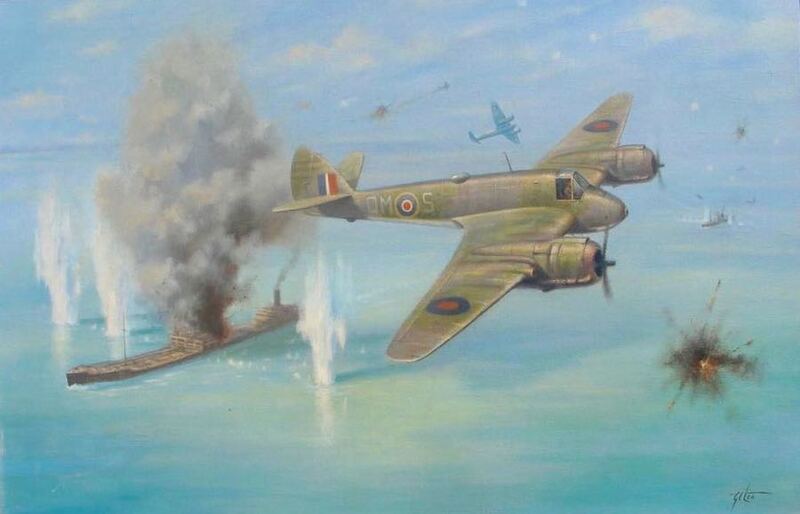 This action packed painting depicts a flight of RAF Beaufighters attacking Nazi shipping during WW2. This original painting comes in a beautiful vintage wood frame and would make a fantastic gift for any WW2 Veteran or Veteran's family member especially those that fought in the European Theater of War. Approximate Image dimensions: 29.25" x 19.25"
Framed Dimensions: 34.5" x 24.5"